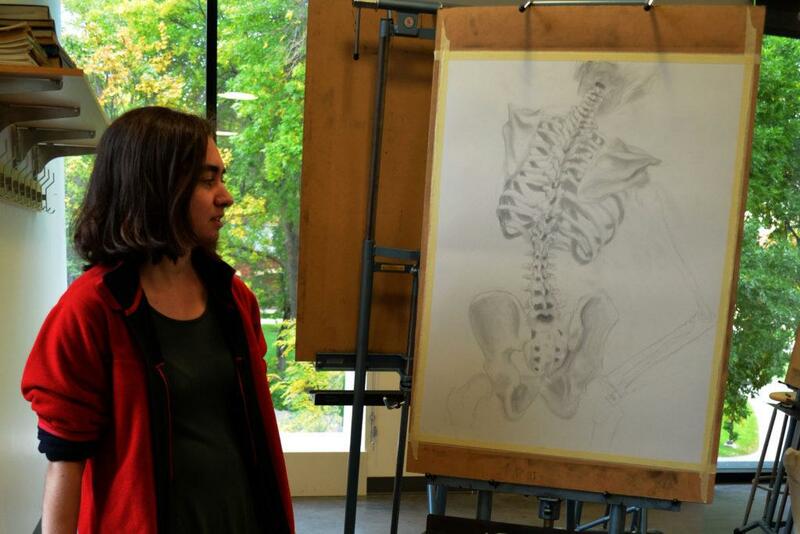 Rochelle Peterson ’17 shows off one of her realistic sketches. Photo by Maddie Jaffe ’17. Every week, The Mac Weekly sits down with an arts major. 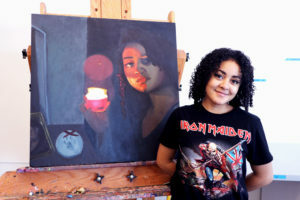 This week we caught up with studio art and English double major Rochelle Peterson. I would say it’s probably very narrative-based. I’m very interested in illustration. So it probably leans more towards realistic, and it probably leans more towards sentimental, kind of like my writing style. Do you deviate from that, or is your art mostly realistic? I don’t know. I mean, it’s all relative. I’m not really interested in art that isn’t representational in any way, so if I’m doing something that’s more abstract, or I like something that’s more abstract, it’s usually representational of something. Generally probably pretty symbolic, but it still looks like the thing it’s supposed to be. For example, Picasso would do a lady but it’s still representational because you can see an eye here and a nose here, versus just like a blob, if you know what I mean. I don’t make too much of a distinction between storytelling and art, so I’m inspired by stuff that can go both ways. For example, in my senior year of high school I did this giant project that had both art and literature components. It was also research, and was just basically studying folktales from all over the world. I’m sort of putting that into my English capstone now. Fairy tales are cool. I’m more into human elements than landscape or anything like that. What kinds of mediums do you usually use? 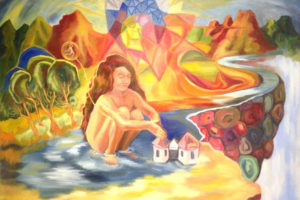 I’ve been exposed to a lot of different mediums, because I went to a Waldorf school, where I was introduced to them. But here, I’ve been doing mostly painting and drawing, and some sort of sculptural stuff with ceramics. Are you involved in art outside of the classroom? This is more English than art, but I’ve been teaching a creative writing class for adults with developmental disabilities, and it’s on the artistic side. I studied abroad in London and Florence last semester. I took a drawing class that was very different from anything they offer here. 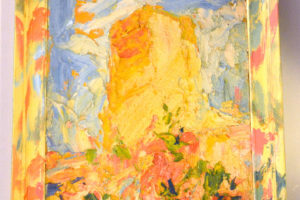 It was a very classical, old masters kind of style, called the sight-size tradition. It was just extremely different from the way they teach here, in good ways and in bad ways. But it was still a very good experience. I also took some art history classes there, which were amazing, because it was in Florence. It was a great opportunity. Everyone should do it. Do you think that changed your art at all? I think I’m a little bit better at being accurate when it comes to drawing. The class was very much about being able to draw things very accurately. In terms of the art history, I’m seeing so much more nuance in all those artworks. In every bit of Medieval Renaissance art, there’s just symbolism everywhere and influence from all these parts of the world. It’s pretty cool.